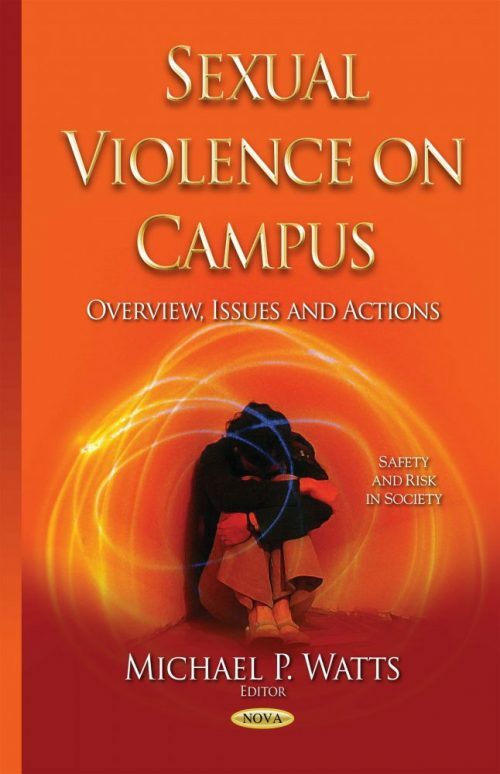 In recent years, a number of high-profile incidents of sexual violence at institutions of higher education (IHEs) have heightened congressional and administration scrutiny of the policies and procedures that IHEs currently have in place to address campus sexual violence and how these policies and procedures can be improved. Campus sexual violence is widely acknowledged to be a problem. However, reported data on the extent of sexual violence at IHEs varies considerably across studies for a variety of methodological and other reasons. Victims of sexual violence may suffer from a range of physical and mental health conditions including injuries, pregnancy, sexually transmitted diseases, post-traumatic stress disorder, depression, suicidality, and substance abuse. College students who are the victims of sexual violence may experience a decline in academic performance, and they may drop out, leave school, or transfer. This book provides an overview of issues and actions of sexual violence on campuses.